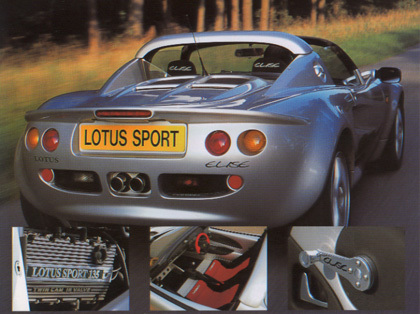 These are promotional photographs from Lotus Cars, UK. The Lotus Turbo Esprit used to be one of my favorite “exotics” (translation: any car out of my price range). I like the Elise even more. 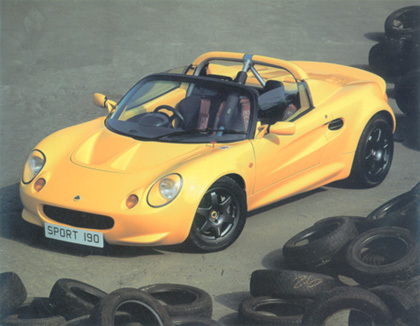 The base mid-engined, two-seater Elise comes with a 1.8 liter, 118 hp 4-cylinder engine. This puny engine is enough to take this 1,606 lb (730 kg) lb car to 62 mph (100 km/h) in 5.9 seconds. That’s not too shabby in my book. 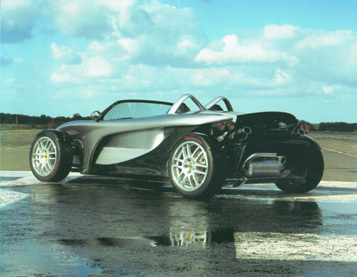 What is pictured above is the Lotus Elise Sport with a 1.8 liter, 135 hp engine. Their literature calls this car a “track-only version.” It has more horsepower, stiffer suspension, and somehow less weight. Their claimed 0-60 mph (not 62) time is 5.01 sec. If there’s one car that gets me drooling, this may be it. 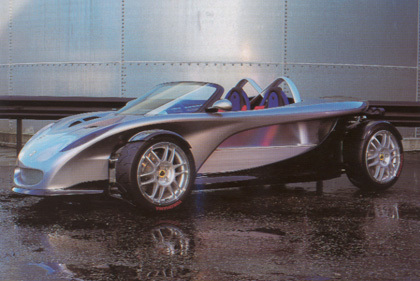 It is a special version of the Lotus Elise with a 190 hp engine.